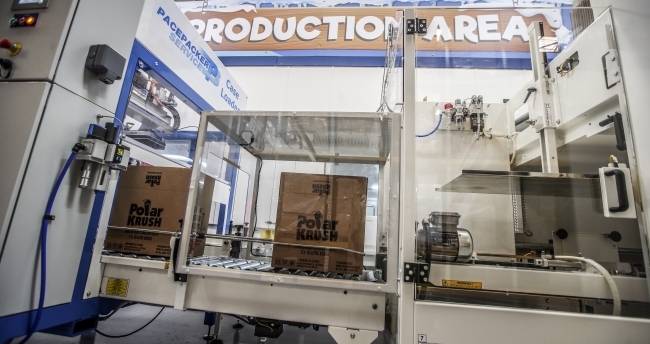 Iced drinks manufacturer Polar Krush, has implemented cutting-edge technology that has allowed them to increase employment as the business continues to grow. In contrast to the news that four million jobs in the British private sector could be replaced by robots in the next decade, Polar Krush is increasing the number of engineers and workers on the factory floor as a direct result of its investment in AI and technology. In the UK, 13% of employers think more than 30% of jobs will become automated in the next 10 years. Paul Goldfinch, managing director at Polar Krush said, “From filling boxes, collating and palletising; we are now all fully automated at our headquarters. As well as allowing us to increase our output and productivity dramatically, our artificial intelligence system allows us to upskill our team and create more jobs at our headquarters. Our staff are our greatest asset and improvements to the factory floor allows them to have a much better working environment and increase their own skills. The ‘Remote Kare ‘Smart’ Technology’ consists of a Remote Kare SIM card that is fitted into every machine, alerting an engineer of any changes that may cause an issue before they occur, preventing disruption to sales. Polar Crush customer, James Flynn who is head of operations at Bridge Leisure which has Polar Krush machines on all of its parks, said: “We have had fantastic support from the team at Polar Krush, as noted by one of our complex managers at Silver Sands in Scotland who praised the team for their excellent service.